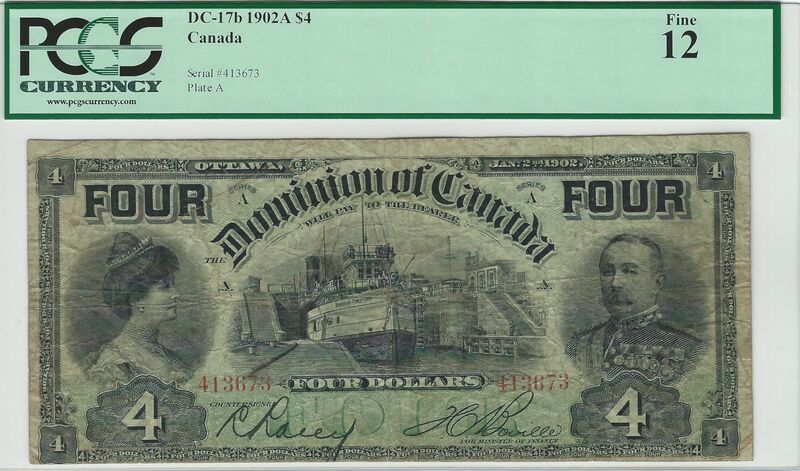 Here is an ever popular 1902 $4 note. 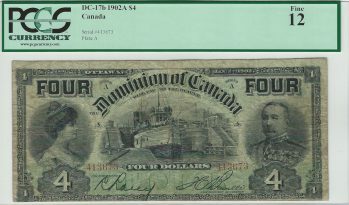 It is the second variety; the denomination of "four" has been spelled out to prevent counterfeiters from raising $1 notes to $4 notes. 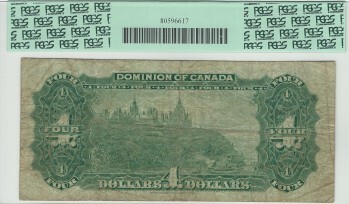 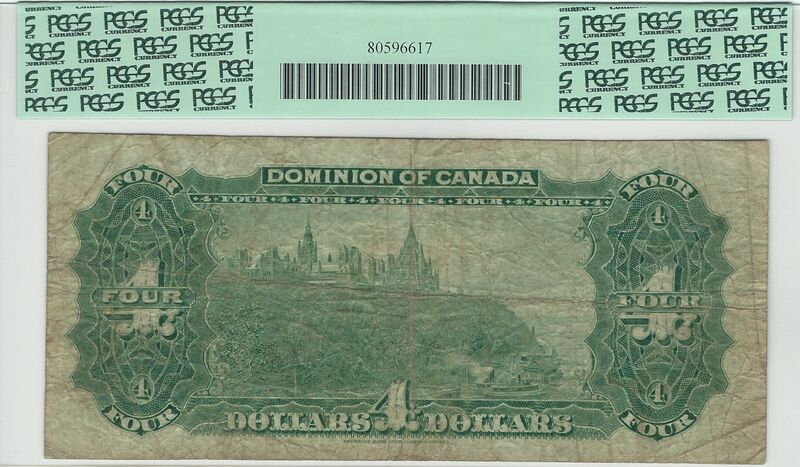 This is a nice problem free circulated note that is needed for the three year $4 Dominion of Canada type set.